In our blog released earlier this week we spoke about how therapy blankets are the best for people with sensory processing dysfunction. Therapy blankets are weighted to hug the user into feeling nice and relaxed. If this treatment is not effective, you may find success in using a warmed blanket. A warmed blanket can relax and calm users with heat therapy. On top of being able to relax users, a warm blanket can improve patient recovery after surgery. The soothing heat therapy treatment from the blanket can decrease blood loss, resulting in fewer surgical site infections and shorter hospital stays. Enthermics Blanket Warming Cabinets are great for heating up weighted therapy blankets or any ordinary blanket. The cabinets come in a Powder Coated or Stainless Steel finish. Both blanket warming cabinets use WarmSafe™ zone heating technology to quickly and efficiently heat blankets to precise temperatures. The fan-less technology is designed to provide quiet warmth for patients, allowing them to get the rest they need for recovery. Also, with the absence of lint-clogged fans, these units are safe and easy to maintain. For relaxation and recovery, try using warmed blankets for soothing heat therapy. 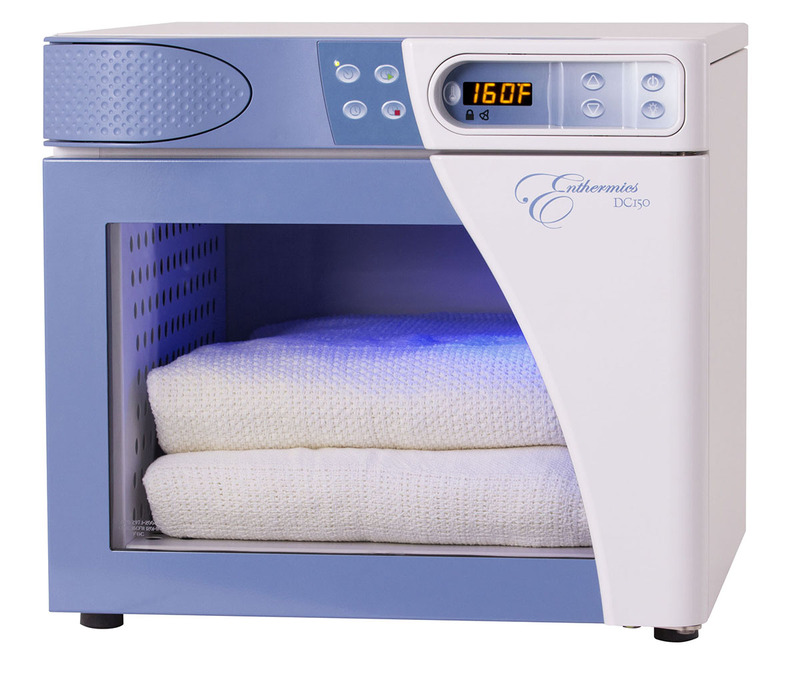 Enthermics Blanket Warming Cabinets evenly heat your blankets for safe patient use. Pair these warmed blankets with weighted therapy blankets and patients will feel very relaxed. To check out our blanket warming cabinets, click here.